Hans Riegel was born in 1893 in Friesdorf, near Bonn in Germany. When he finished school, he completed training as a confectioner and worked for Kleutgen &amp; Meier for five years. In 1920, Riegel had started out with a company of his own. He purchased a house and set up his first factory there. His starting capital was a sack of sugar, a marble block, a stool, a brick oven, a copper cauldron and a roller. In a small backyard laundry-kitchen, began the history of the now world-famous company. 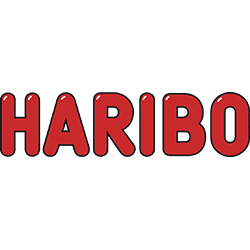 In 1920, Riegel had the company name HARIBO entered in the trade registry of the city of Bonn as an acronym of <strong>HA</strong>ns <strong>RI</strong>egel <strong>BO</strong>nn.